They say that man should never meet their heroes. I chose to ignore that and back in 2015, me and my brother (the usual suspect for such events) visited a car exhibition called Legendy (Legends) here in Prague, and that choice indirectly cost me more than two years of spare time. 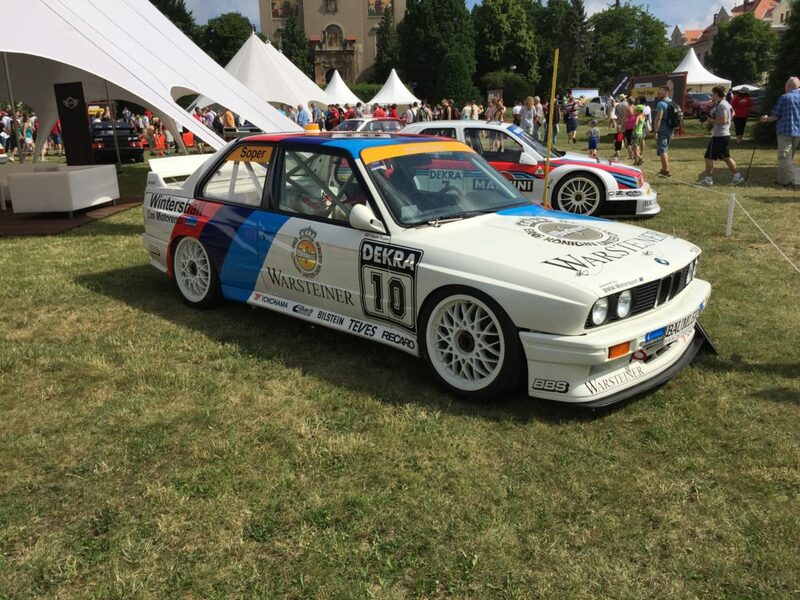 Among other cars, old and new, was Steve Soper’s BMW M3, which had been recently renovated by a Czech BMW importer. There is a soft spot in my heart for anything 80s and especially for cars from that era, but the original M3 will always have a special place. The car – the design, engineering and the story – fascinates me. Untrained eye might miss all the styling cues that tell it apart from a regular BMW 3 series of that period. These were born out of a single goal: to be the fastest touring car. For that, a lot of other modifications happened elsewhere, too. Stiffer yet lighter chassis, new suspensions, and 2,3 R4 high-revving engine that drove it to more than 1500 victories – a record still standing today. And the shape! Form following function, using every trick from 80s’ car styling cookbook. The wide, flanged fenders, thick “C” pillar, massive splitter and spoiler and the four-eyed front mask all give it very brutal look. The “M3” badge appears on both front and rear, and to quote Jeremy Clarkson, you can’t be sure whether the “M” stands for Motorsport or Massacre. As you read these lines, the e-shop is being stocked by the first batch of the prints, so that you can become part of my M3 project by adopting one of these and enjoying it in your home or office. I have other heroes to meet, and if all goes well, other prints will follow the M3.